All plastic products that are come into contact with food and can endanger the migration of hazardous or toxic substances contained therein food safety, must comply with regulations issued by the European Commission, so as not to endanger the consumer. 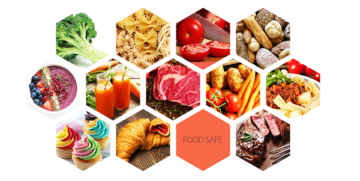 The production of parts for the food industry must therefore comply with the regulations issued by the European Commission number EU 1935/2004, EU 10/2011 and EU 2023/2006 „Good manufacturing practice“ (GMP). The European Commission has accepted a regulation requiring monitoring of the process of manufacturing plastic material and plastic products for contact with food. The company Slavík-Technické plasty s.r.o. introduced the “Quality management system” ISO 9001: 2016 and the “Good manufacturing practice system” (GMP) according to the EU regulations in force. By introducing the GMP system and related EU regulations, we respond to the requirements for the production of parts, parts of machinery and equipment for the food industry.